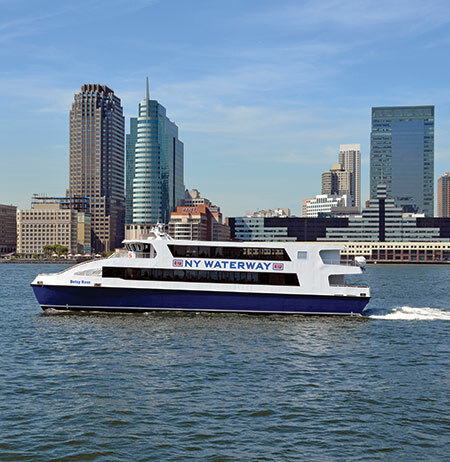 New Jersey/New York Ferry Schedules, Free Bus Service, Weekend and Holiday Schedules. Serving the Belford, NJ community, Paulus Hook/Jersey City, NJ, World Financial Center and Pier 11/Wall St. in South Manhattan and Pier 79/W. 39th St. in West Midtown. 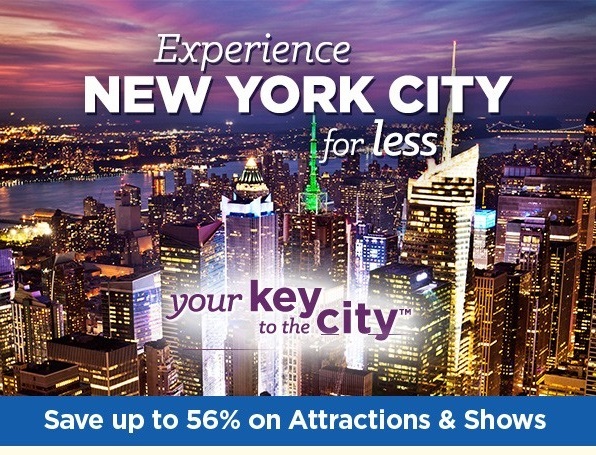 Unlock the best New York City has to offer. Attractions, destinations, culture, arts and more in Midtown and Downtown Manhattan. Liberty Harbor / Marin Blvd. Midtown / W. 39th St.
Pier 11 / Wall St.
Paulus Hook to Midtown / W. 39th St. 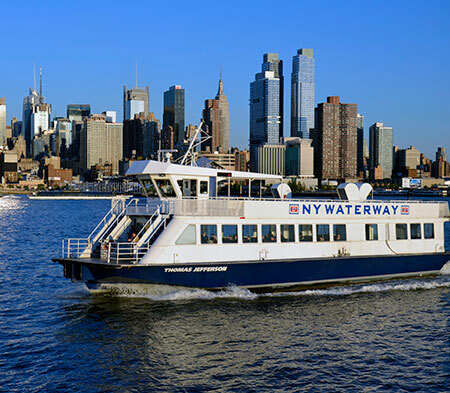 The Lincoln Harbor Ferry to West 39th Street in Midtown Manhattan is a private service operated by NY Waterway for tenants and guests of Lincoln Harbor and the Sheraton in Weehawken, NJ. Ferry tickets must be purchased through a Lincoln Harbor tenant organization. 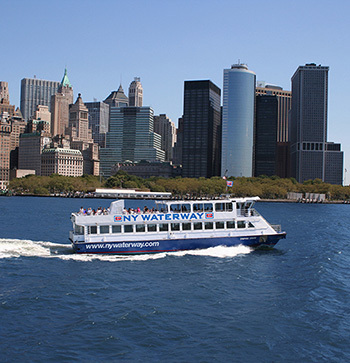 Visitors can purchase tickets at NY Waterway's Manhattan ferry terminal, located at W. 39th St. and 12th Ave. Call 1-800-53-FERRY for directions or more information. Tickets are also available through our free mobile App. You can download the App here. Two children ride free for every paying adult. Unlimited Uses - Good for 7 consecutive days. Full-Time Student Application forms must be filled out by school official. Forms can be picked up at any NY Waterway ticket office. Lincoln Harbor / Weehawken to/from Midtown / W. 39th St.. NOTE: Approximate travel time = 6 minutes .